Welcome, Dr. Oz Show Viewers! Every now and again, life has a way of throwing little—and sometimes big—surprises into the steady drumbeat of everyday life. 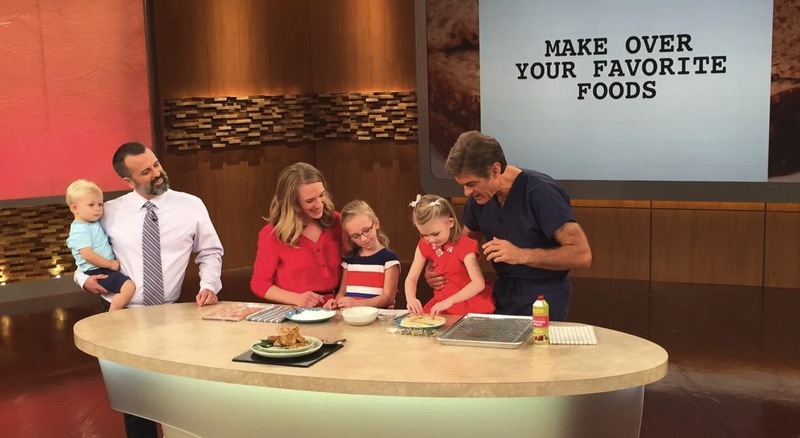 So it was for our family when the producers of the nationally televised Dr. Oz Show extended an invitation for us to appear on an episode about “sorting through the misinformation on gluten.” That episode (and our three-plus minutes on it) appeared this past Tuesday, September 22. If you’ve been a long-time No Gluten, No Problem reader and follow us on social media, then this is old news to you. If you subscribe to this blog via email and are thus reading about this for the first time, then—surprise!—this is the big news of the week in the Bronski household. 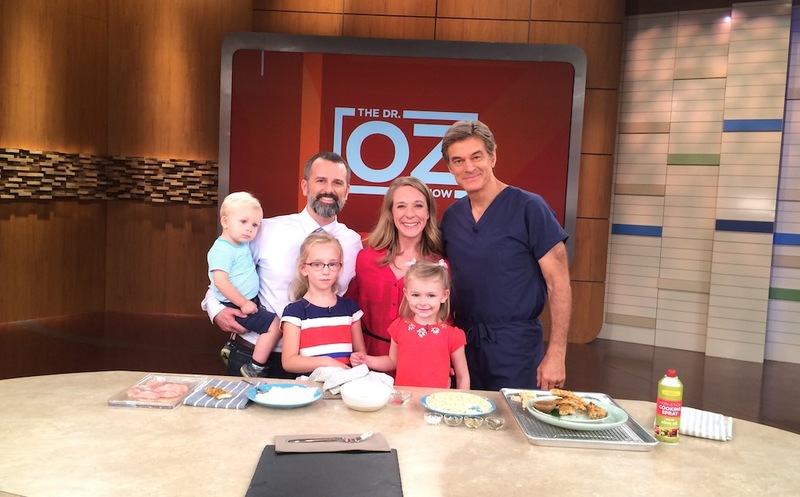 And if you’re a Dr. Oz Show viewer who’s found your way here after seeing us on the show, welcome! We’re thrilled your here. As you might imagine, our brief time filming with the show and the segment that aired this week went by in a quick heartbeat. Those three on-air minutes of course just scratch the surface, and so by way of an accelerated introduction, we thought we’d offer this list of the top 10 things to know about our family and how we live a happy, healthy, affordable, and delicious gluten-free lifestyle. 1. We’re gluten-free for medical reasons. An athlete all my life, my health took a serious nosedive 10 years ago until a celiac disease de facto diagnosis in 2007 and later confirmation put me on a strict gluten-free diet for life. We put our daughters through a deliberate “gluten challenge” and subsequent testing in cooperation with our doctors to get definitive diagnoses for them too—both have the genes for celiac disease, and our younger daughter Charlotte remains strictly gluten-free because she reacted negatively to the challenge. Our son Timothy hasn’t been tested—yet. Most recently, my mother was also diagnosed with celiac disease in her mid-60s. 2. We’re a gluten-free household. 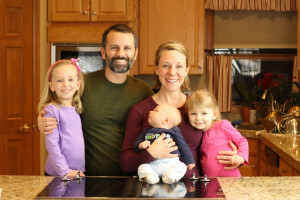 Though Kelli, Marin, and Timothy don’t—for now—need to be strictly gluten-free, we keep a 100% gluten-free household. When I was diagnosed, Kelli went gluten-free too. It was a supportive move of solidarity … partly because we wanted to cook and eat the same meals together, partly because it was pragmatic to avoid the chance that I’d get cross-contaminated from gluten in the home. Now that we have children—one of whom also must be strictly gluten-free—it ensures that there’s always a “safe” place where no food is off limits and everything is good to eat. 3. We love good food. We’re not at war with it. These days it’d be easy to think that gluten has become dietary enemy #1, and to some people it is. By extension they vilify food itself, which we think is a shame. We love to cook, we love to eat good food, and we love to spend time together in the kitchen. For us, cooking is something of a leisure activity, whether it’s our weekly Sunday night from-scratch pizza dinners or rolling balls of dough in cinnamon-sugar to make a batch of snickerdoodle cookies. 4. We live an active gluten-free lifestyle. I’m a stronger athlete post-diagnosis than I ever was before. I’ve been an Athlete for Awareness for the National Foundation for Celiac Awareness, and for the past five-plus years have been focused on ultra-distance mountain running (30–100 miles), including a world-renowned race through the Italian, Swiss, and French Alps. That active lifestyle translates to our entire family. We travel with our kids, and take them skiing, rock climbing, camping, hiking, and much more … all of it gluten-free. 5. Gluten-free doesn’t have to be hard. We know that when you’re first diagnosed and go gluten-free, it can be intimidating at best and downright depressing at worst. Will you ever eat your beloved foods again? What does the future hold for you? The answers are a resounding Yes! and Plenty! We founded this blog in 2008, one year after my diagnosis, and have since published a series of cookbooks, all to help readers like you get over the steep initial gluten-free learning curve faster and sooner find yourself in the world of delicious gluten-free cuisine on the other side. 6. Gluten-free doesn’t have to break the bank. As another guest on the Dr. Oz Show pointed out, gluten-free versions of traditional foods such as breads, pizza, pasta, bagels, cookies, and more can cost quite a bit more than their conventional counterparts. The same is true ordering GF dishes at restaurants. But the “gluten-free premium” doesn’t have to require a second mortgage on your home. Like many Americans, we’re a family on a budget. We get it. And by making many foods from scratch at home and following these other tips, you can live an affordable gluten-free lifestyle. Gluten-free food sometimes gets a bad rap, and if we’re completely honest, some of it does leave a lot to be desired. But it can also be amazingly, eyes-roll-back-in-your-head delicious. As Canadian celiac blogger Wheat Free Mom recently wrote to me on Twitter, “I never ate cardboard before my diagnosis, I’m not willing to eat it now.” Amen, sister! We’re firm believers (and not at all delusional) that gluten-free food can be as wonderfully delicious as its gluten-filled counterparts. Just ask Kelli’s non-gluten-free parents, who make our gluten-free Belgian waffles for breakfast because they taste so good. 8. Gluten-free is the beginning, not the end. One of the most common questions I get asked by people who don’t know me is along the lines of: “Is it hard to stay gluten-free? Do you ever feel tempted to cheat?” My answer is and always has been an unequivocal “No!” If you’ve gone gluten-free for medical reasons—whether celiac disease, wheat allergy, non-celiac gluten sensitivity, or any number of other conditions—then going gluten-free is the beginning … of the rest of your life, of the transition from sickness to health, of rediscovering and rebuilding your relationship with the nourishing foods that once made you sick. 9. Gluten-free doesn’t define us. Or you. Being gluten-free is important. In some ways it’s everything. But in other ways it’s not even close to everything. When viewed through the GF lens of this blog it’d be easy to presume the former. But the latter is the bigger truth. Like a diabetic managing carbohydrates and blood sugar and insulin, or the career-driven professional balancing the demands of work with parenting kids at home, or any other example, don’t confuse the thing with being the thing. Gluten-free is part of our story, and if you’re reading this blog, it’s probably part of your story, but it’s not the whole story. Don’t forget that. 10. No gluten really is no problem. When we founded this blog seven years ago, the title No Gluten, No Problem was probably more an aspiration than an affirmation. But in present day 2015, we can attest to its veracity. Years of experience have confirmed it to be true. 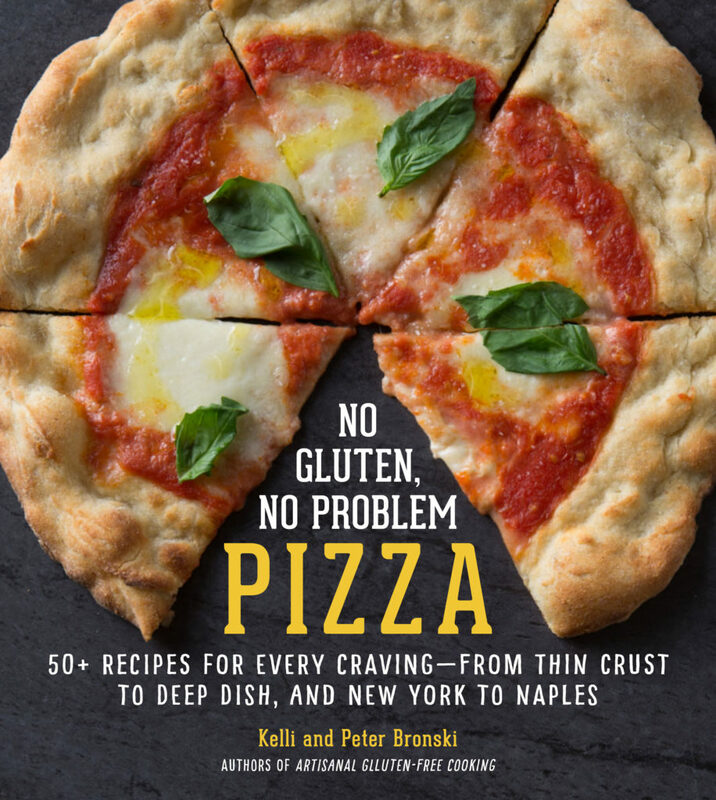 Cooking and baking with no gluten really is no problem. Gluten? Fuggedaboutit. The road ahead is clear and bright, with nary a gluten-containing grain in sight. Three minutes? That’s like only being able to eat one potato chip. Nice, nice segment ~ your family is so beautiful. I’m very glad you didn’t have to talk like one of those speed talkers 🙂 I hope lots and lots of people come here to check out your blog. They will be well rewarded. Loved your segment on the Dr. Oz Show. I don’t typically watch daytime TV, but this 3-plus minutes was well worth it. I wish you’d had more time. Plus, your family is about as cute as they come, which makes for adorable TV! As for this blog post, very well said, all the way around. I totally agree — “no gluten, no problem.” I’ve been healthily and happily on this band-wagon for so long that it seems perfectly normal to me. Congratulations! You’re famous (more famous). Thanks so much for your ongoing support, Melissa! As you can imagine, we don’t watch much daytime TV either, but appearing on the Dr. Oz Show was a wonderful experience. It’s funny, I think I value the taste of fresh produce, fish, meat and cheese MORE since my wheat allergy diagnosis than before. Before, I ate a lot more mass produced cereals, English muffins, and “diet” sweets. Now I eat a lot more whole unprocessed food, and when I eat baked goods, it’s usually something GF I baked myself which tastes a whole lot better! I’m with you, Alyssa. Going gluten-free was the catalyst that moved us more definitively toward fresh, whole foods … and it’s wonderful!